Today we celebrated our annual swimming gala. The pupils over the last few weeks have been practising and perfecting their swimming skills, but also working as a team with an added ounce of competitiveness. At Oxford House we have some exceptional swimmers therefore many of the races were rather exciting and very close! I would like to congratulate all the pupils for participating; they were exemplary both in their attitude and behaviour with many achieving personal individual bests in each race. 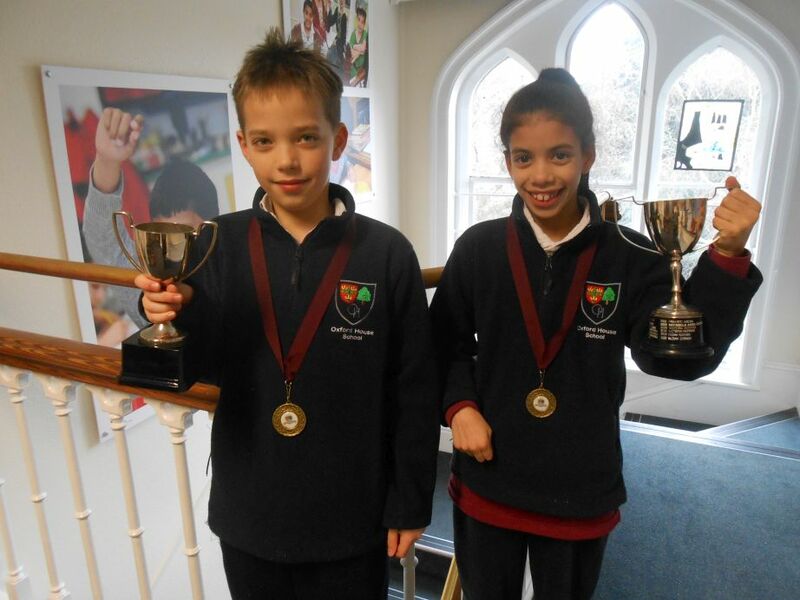 Congratulatory praise goes to Ben and Gabrielle for their outstanding swimming. The Spendlove Boys Swimming Cup was awarded to Ben in FVI with a total of 7 points. The Martin Girls Swimming Cup was awarded to Gabrielle in FV with a total of 9 points. Finally I would like to take this opportunity to thank all the Oxford House staff, Swim for Schools swimming instructors and military staff for all their hard work; plus a special thank you to Linda Garnham for planning the event faultlessly and all the parents who came to support the pupils.